Food. Sometimes we can’t decide what we want to eat. If you struggle with this decision, we are providing for you some underrated restaurants that most UAlbany kids do not even know about. We decided to share with you our top 8 choices of restaurants within the Albany area as well as some information about these hot spots! Feel free to comment your favorite spots to us and make sure you get to try these amazing locations! The C.H. Evans Brewing Co. located in the Albany Pump Station is the perfect place for a nice dinner as well as hand-crafted beers. They offer 12 in-house brews as well as a menu that pairs perfectly with these unique brews. 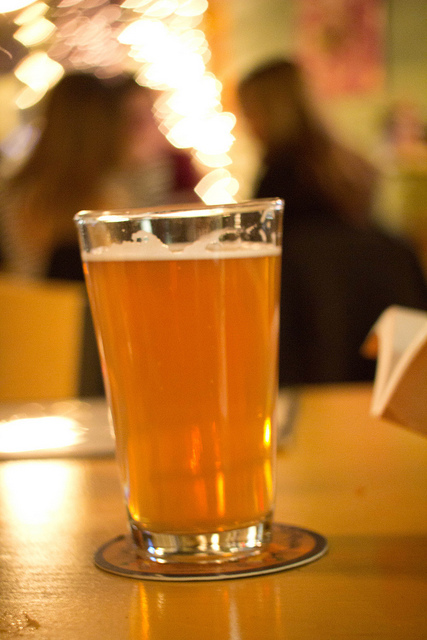 They even have what they call “Albany Ale,” a 200 year old beer recipe that they serve on-tap! The Pump Station also has an array of events that you can find information about on their website. 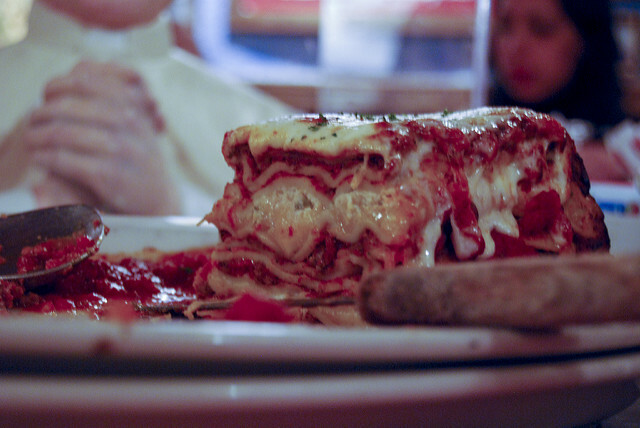 If you love some good Italian food then this is the place to go, but you must come HUNGRY! They have everything here from salads to pastas. The great thing about is that it is family style, so if you come with a large group of people you can order a bunch of options and share(or not)! Whether or not it is for someone’s birthday or just a casual hangout, this is the place to go. Check them out on their website. I remember first hearing of Blaze Pizza in one of their commercials with LeBron James. This was months before I had ever even seen one of their locations, and years before I actually walked in. Good thing I did because Blaze Pizza is an untold gem in the Albany area. 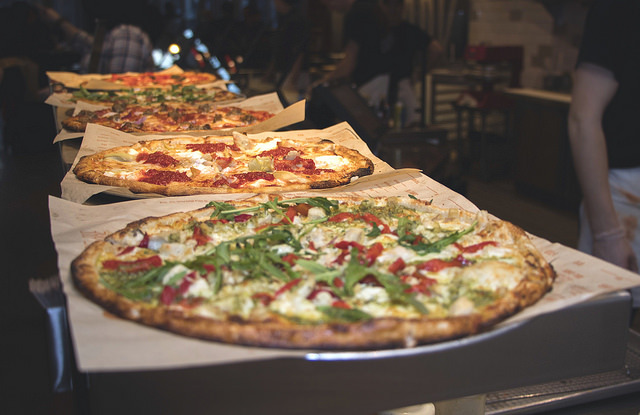 The Chipotle-style pizza spot gives you full control of your pie with literally dozens of toppings and options. You can get one of their signature pies or you can ‘Build-Your-Own’. From the dough, to the flavorful finishers, and everything in-between, Blaze has anything that you’d want on a pie. THIS is the place to get your pizza fix. You can visit their website for more info. The search for a great burger is very long and Crave is the clear winner. When you walk in you are greeted by the diverse menu and multiple flavors of frozen yogurt. The great thing about this place is how many options they have. 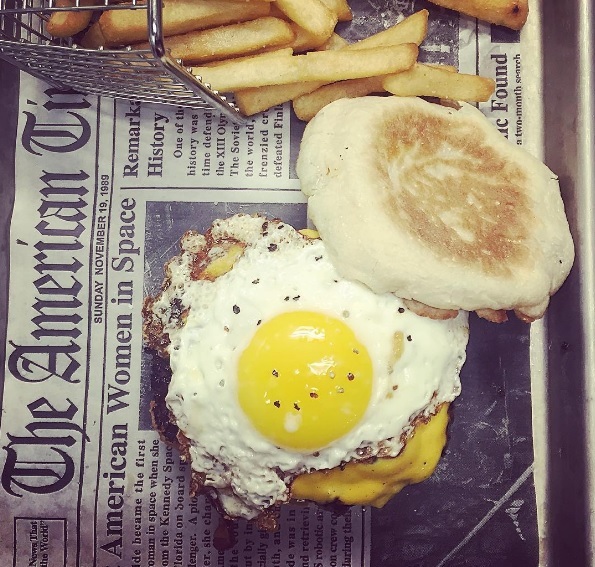 My personal favorite is the breakfast burger, it is a coffee rubbed burger with a hashbrown, bacon, and topped with a perfectly cooked fried egg. If you are not a burger person do not worry they have hot dogs as well. If you are not full already then you must get their fries! Here is their website for more information! 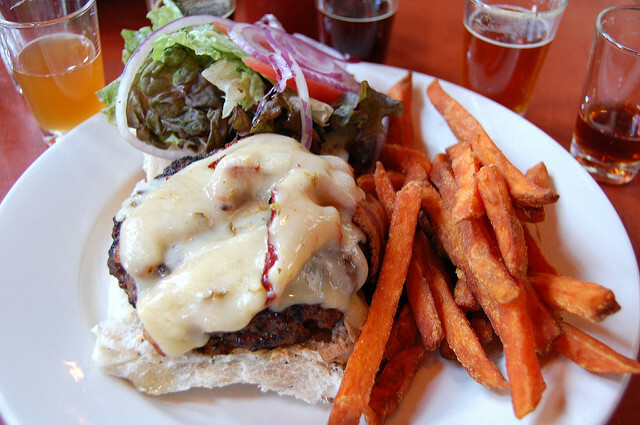 If you’re into beer, and pairing it with the perfect foods, Druther’s Brewing Company is the place for you. They offer a wide variety of beers on tap with a unique menu to match it. They offer a comfortable environment high, happy energy. Druther’s has two locations in Albany and Saratoga Springs. If you’d like to find out more about their brewery as well as menu options, visit Druther’s website. 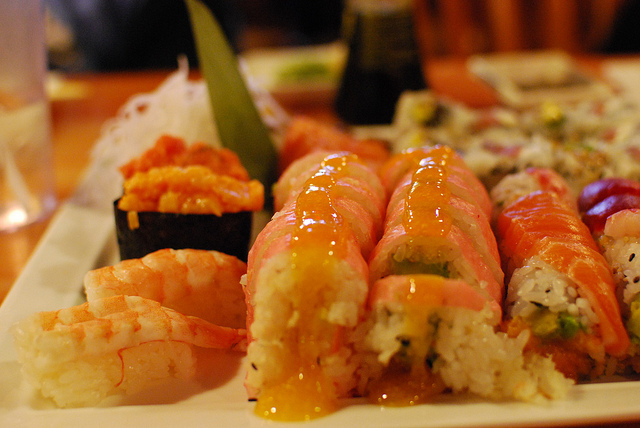 What would you say if I told you for a single price, you could eat as much sushi as you want? Sounds like a dream to me, which is exactly what I thought when my friends told me there was a place like that in Albany. Kuma Ani has an all you can eat for one price menu that I highly suggest to sushi lovers anywhere. I had gone with a large group of friends and the sushi came in a big sushi boat which was an amazing display in itself. The shop itself is rather small with not too many workers during lunch time, but they responded quickly and were very accommodating to our group. They also have wonderful bubble tea drinks that I would also suggest. Check them out at their website! Maharaja is a restaurant that offers authentic Indian Cuisine that is simple but unique it’s own way. 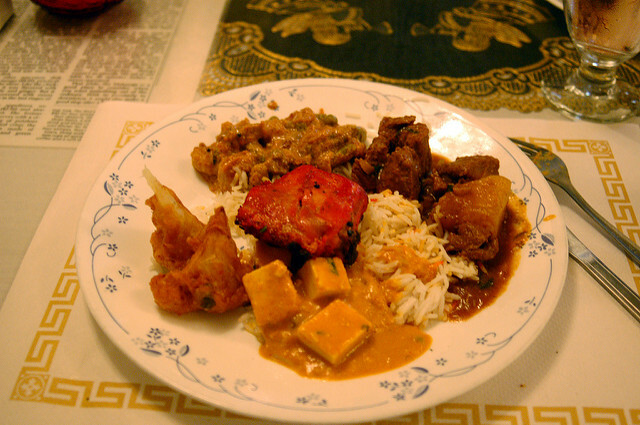 If you’ve ever been hesitant about trying Indian cuisine, this would be the place to try. Maharaja is known for their picks from all over the region of India with a specific focus on foods from the Punjab and Mughal regions. Their food is the highest quality in this area as well their service. You can check out their delicious menu options here. Vietnamese food is my go to comfort meal. It’s warm, savory, and comes in a variety of forms. 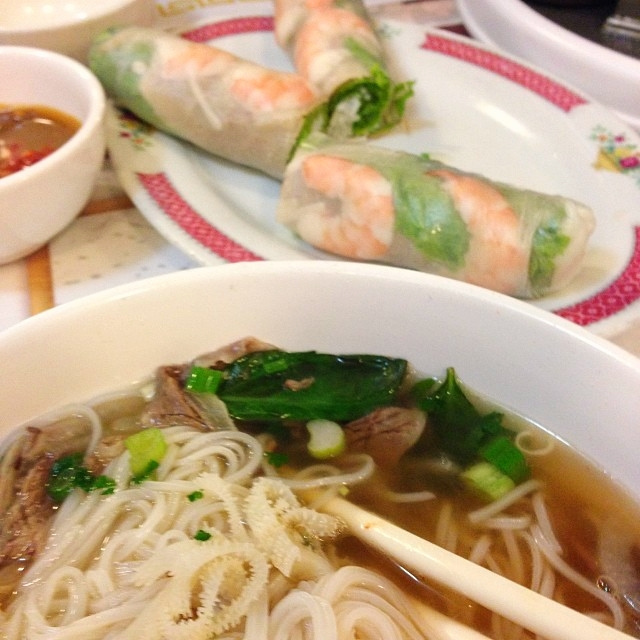 However, you can almost never go wrong with a good bowl of pho. I highly recommend the pho there. Pho, pronounced f-uh not f-oh contrary to what some people will tell you, is great for the cool Albany weather and especially so for when you’re sick. A warm bowl of pho is just so soothing to the soul. Pho is a soup noodle bowl that comes in generous portions. You can have it with meat, plain (nothing), seafood, or a combination of numerous things. They give you a plate of bean sprouts, limes, peppers, and an assortment of sauces to combine with your meal, if so you desired. If pho is not something you’re interested in, they have delicious shakes, Vietnamese coffee, rice dishes, and appetizers. The staff are accommodating to dietary needs and they’re quick to respond to questions or concerns with their meals. Check them out at their website! Albany has restaurants dotted around town that are amazing, and we highly suggest you take time to try the food out in the area around you. But, for us, we thought that these places were awesome. There was never a hit-or-miss moment with these places for us. What places are you looking for when you come to Albany? Have you tried anything? If you have, what’d you think? Let us know in the comments!